Where to go: Kenya or Nambia? South Africa or Tanzania? When to go: What is the best time of the year for travelling to Kenya? How to go: Can I travel on my own? Which airlines fly? Can I arrive by train or bus? So you've decided to go on safari for the first time and don't know where to start? Start here! Serengeti, Okavango, Masai Mara, Kruger... Only the sound of those names inspires daydreaming of wide plains and rolling hills that teem with wildlife roaming free underneath purple skies trough vast open spaces never touched by human civilization. Africa boasts a huge array of safari destinations to suit every taste and need. However, first of all you have to choose. 1. 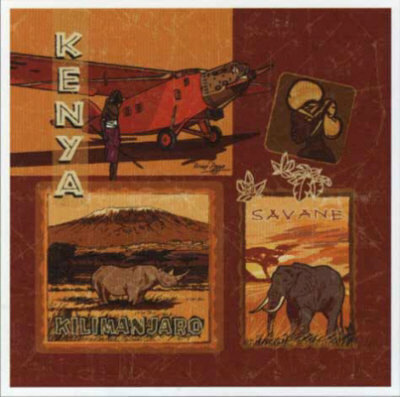 Kenya is the land where safari was born. If you wish to know how it all started, just go where it all started. 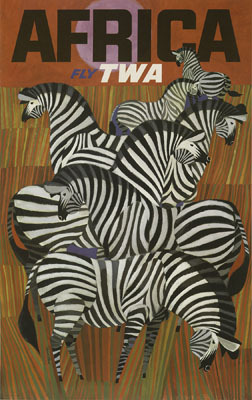 "Safari" is the swahili word for "travel". It began to be used by westerners in East Africa in the 19th century, possibly by famous explorer Richard Francis Burton. 2. East Africa is the cheapest choice... Taking item by item, a journey to East Africa will arguably get a much more affordable price tag than a similar trip to South Africa, Namibia or Botswana. 3. ...and Kenya can be cheaper than Tanzania when taken separately. Ok, this is debatable, and many package trips cover both countries. But my own experience as an independent traveller is that Kenya beats Tanzania in price. Perhaps not forever: if Kenya Wildlife Service keeps on pushing up the entry fees for national parks, the inflating prices will surely deter many travellers from visiting Kenya. Remember the fable about the goose that laid golden eggs? 4. Caters for every type of traveller. Some destinations in other safari countries are only accessible to the well-heeled, since you must sleep at very pricey lodges to reach them. In Kenya you always have the full range of options from the public campsite to the most exclusive safari-chic lodge. 5. A country ideally suited to the independent traveller. In Kenya there are no restrictions for self-driving or visiting game reserves on your own. Only and shamefully, Kenya Wildlife Service tries to make things tougher: the Safari Card system, an electronic card introduced in 2000 which is mandatory for entering national parks, is such a pain in the neck for the independent traveller. And it didn't come as a surprise that it doesn't stop corruption as intended. 6. Most of the hotspots are at a day-trip distance... Distances in Africa are serious, and the battered roads don't make it easier. In other countries you are bound to use air travel to reach some places, which increases the price. Most destinations in Kenya can be reached by road in a day journey. 7. ...and with an unbelievable diversity. From the lush green jungles and the high chilling moors of Aberdare Mountains to the dried-up bush of Samburu, all it takes is just a morning drive. You will never find in any other safari country such a great variety of landscapes, geographies and wildlife almost in a nutshell. 8. Where else will you find a capital city with a national park at its backyard? Many visitors overlook Nairobi National Park, perhaps in the wrong belief that it is a prefab safari set-up to please business travellers. This is far from true. Nairobi NP is a real wildlife park, the oldest in Kenya, struggling to survive against the pushing backdrop of the big city. You will see lions here, and big herds of ungulates that migrate back and forth from the southern plains. And all with the oddity of spotting human visitors in suit and tie. 9. Oh yes, and there is the beach too. Many package tours round off their safaris with some days of beach relax at Zanzibar, Seychelles or Mauritius. I guess there must be industry reasons here, since these beach destinations are more likely to sell when combined with a safari. But Kenya is not devoid of wonderful beaches to bask in the sun, practice water sports, dive through coral reefs or play golf. And not to be dismissed, staying in Kenya's coast will save you money. 10. Finally, Kenya is the perfect balance between development and rusticity. Some parks in other countries are only for the most adventurous. On the opposite end, South African parks with full tarmac roads and ATMs can seem too tame and spoil the safari experience. Kenya sits at a perfect middle point to please most visitors, although some parks are perilously getting way too crowded. So you've finally made up your mind? If you are heading for Kenya, you might like to check my suggested safari itineraries. High season, high prices. Low season, low prices. The conclusion would seem immediate, but it's not. As in other destinations, tourist seasons are defined not only by the vacations dates, but also by the weather. And in places like Kenya it is not only a matter of wearing light or warm clothes. The weather absolutely drives the natural wildlife cycles, and choosing the right time of the year may set the difference between spotting the big five and huge herds of herbivores, or not. High seasons: July to September, December to February. Low seasons: March to June, October to December. Kenya has two rain seasons, the long rains (March to June) and the short rains (October to December). Most visitors prefer to avoid the rain periods because some dirt roads become heavily muddy and some parks may get flooded, hindering road transit. See the weather page for more details. Concerning wildlife, the biggest impact of rains affects the great migration at Masai Mara. The wildebeest herds of the Serengeti-Mara ecosystem migrate on a cyclic basis from Masai Mara to the Serengeti in Tanzania and back. Wildebeests, together with zebras and other wildlife, arrive to Masai Mara in July after the long rains, searching for the young and salt-rich pastures. Thus, Masai Mara is more plentiful with wildlife during the boreal summer. In the rest of the parks the effects of rains are less evident, but there is also a subtle difference. In dry times, seasonal waterholes dry up and animals are bound to reach for year-round water sources, making it easier to find wildlife gathering around a few water spots. Christmas time attracts many visitors and prices are usually up. In January and February the weather is generally drier and hotter. These months can be a good choice, but beware of high temperatures, and if you wish to catch the migration you should not miss the Serengeti, where female wildebeests will be giving birth to hundreds of thousands of new calves. A personal favourite is October. Both prices and rains tend to be moderate, parks are less crowded and you will witness the African spring in its full glory, with the wide green plains blossoming in a violent outbreak of multi-coloured flowers. Tour package or self-guided trip? In Kenya it is possible (and highly enjoyable) to make your own safari. If you wish to give it a try, you will find many useful tips throughout this website. You may like to read the pages on suggested safari itineraries for tayloring your journey and on moving around for advice on renting a car and driving by yourself. The easiest way to reach Kenya is by air, landing at Jomo Kenyatta International Airport in Nairobi. Kenya's flag airline is Kenya Airways. It operates flights to many destinations in Africa, including Cairo, and to China, India, Thailand, United Arab Emirates and Oman in Asia. The only destinations in Europe are London, Paris and Amsterdam. Airlines that fly to Nairobi from Europe include British Airways (London), KLM (Amsterdam), Brussels Airlines (Brussels), Swiss (Zürich), Turkish Airlines (Istanbul), and Virgin Atlantic (London). Other major airlines that fly to Nairobi are EgyptAir (Cairo), Emirates (Dubai), Qatar Airways (Doha), Air India (Delhi), Ethiopian (Addis Ababa), and South African Airways (Johannesburg). Currently there are no airlines operating direct flights to Kenya from the United States or any other country in the Americas. The same applies to Australia and New Zealand. If your destination is Kenya's coast, some of these airlines also cover Mombasa. Since it is a popular beach destination in some European countries, other companies operate regular or charter flights, from Italy (Air Italy/Meridiana and Neos Air), the United Kingdom (Thomson and Monarch) or Germany (TUIfly and Condor). However, bear in mind that airline destinations change quite frequently and that some routes can be seasonal, so this information could be outdated. 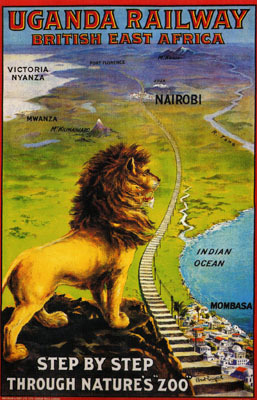 Arriving to Kenya by road is feasible, but easier from the west or south. If you plan to drive into Kenya from Tanzania, note that the border crossing between Serengeti and Masai Mara at Sand River Gate has been traditionally closed as a monument to human stupidity. The Immigration Department's website now lists Sand River Gate as a recently opened entry point operating from 6:30 AM to 6:30 PM, but I haven't confirmed it by myself. The most usual crossing between the two countries is along the Namanga-Arusha road. There are buses that connect Kenyan cities and towns with most locations in neighbouring countries. Concerning the train, dilapidated railway lines in Kenya are presumedly under current upgrading by the private South African concession Rift Valley Railways, that is promising to reopen soon the old line linking Kampala (Uganda) with Nairobi via Kisumu.